Looking for a quick and easy meal the other night, I came up with this meal that was cooked all in my grill pan. 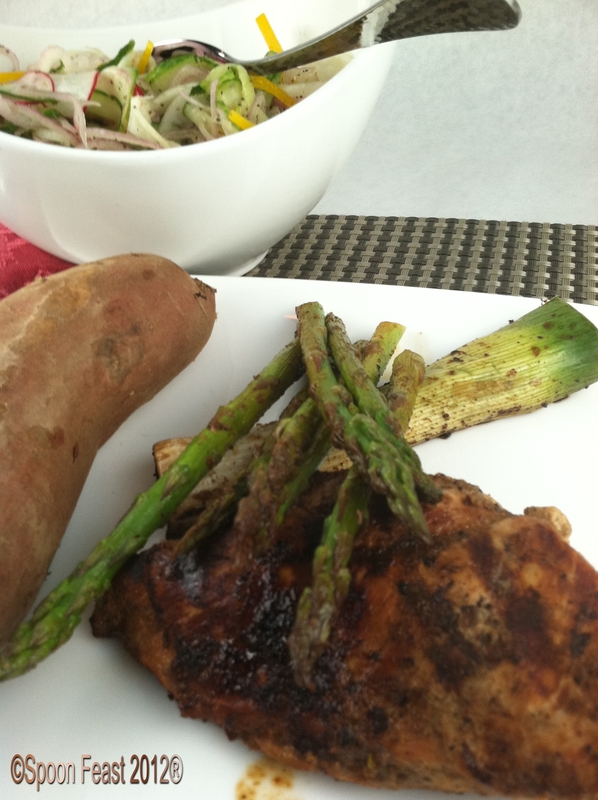 Chicken was marinated in Mojo Criollo, a Latin marinade of sour orange, herbs and spices. There were a couple of leeks which I split in two and placed them cut side down to grill. 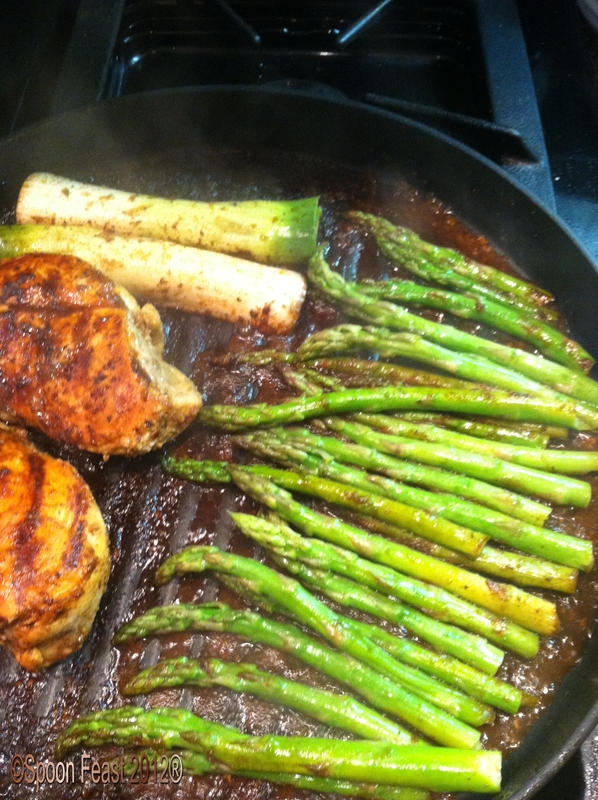 When the chicken was done, it was pushed to the side of the pan and I added fresh trimmed asparagus and grilled that until it was done too. Asparagus only takes a few minutes. Sweet potatoes baked in the oven, a salad made by ‘shaving’ radishes, cucumbers, yellow pepper, and fennel, drizzled with rice vinegar and olive oil, salt and fresh pepper rounded out the meal. During this wonderful season of abundant fruits and vegetables, make sure you add more to your diet. The vitamins, minerals and fiber contribute to a healthy diet and contribute to manageable weight maintenance. Indulge and explore white the season is right! This entry was posted in Cooking, Recipes and tagged Chicken, dinner, easy meal, food, grill pan, herbs and spices, mojo criollo. Bookmark the permalink. Yumm. Love mojo – especially on chicken. Large grill pans do make it easy to prepare your whole meal together. Sounds terrific.